Several years ago I was watching a few birds roosting on the island in the middle of Elsternwick Lake and was trying to name the ones I recognized – cormorant, seagull, pigeon, magpie, swallow etc…I had never really thought about the others that were around that I couldn’t name. 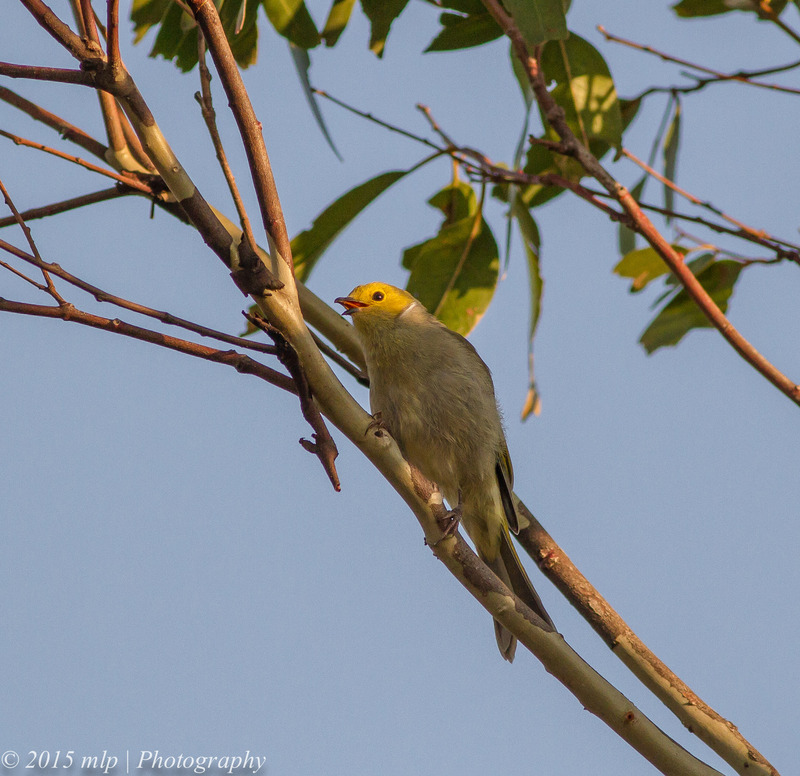 I saw a tiny olive coloured bird above me fighting with a Noisy Miner. I had no idea what it was and having my camera in my hand I took a few bad shots so I could look for it in an old bird book I had in my library. From that bit of research started a new hobby/skill/adventure/obsession – birding. 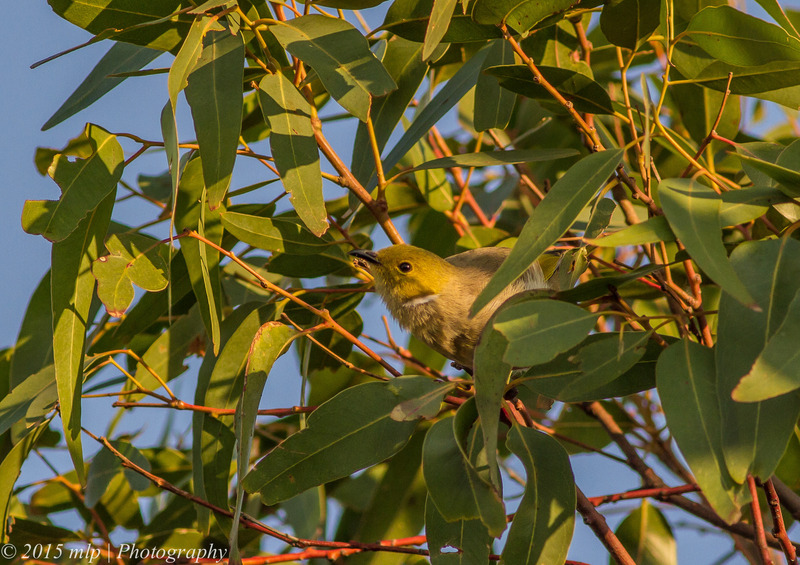 My tough little friend fighting off the Miner was a White Plumed Honeyeater – a pugnacious honeyeater that will defend its food supply and territory. 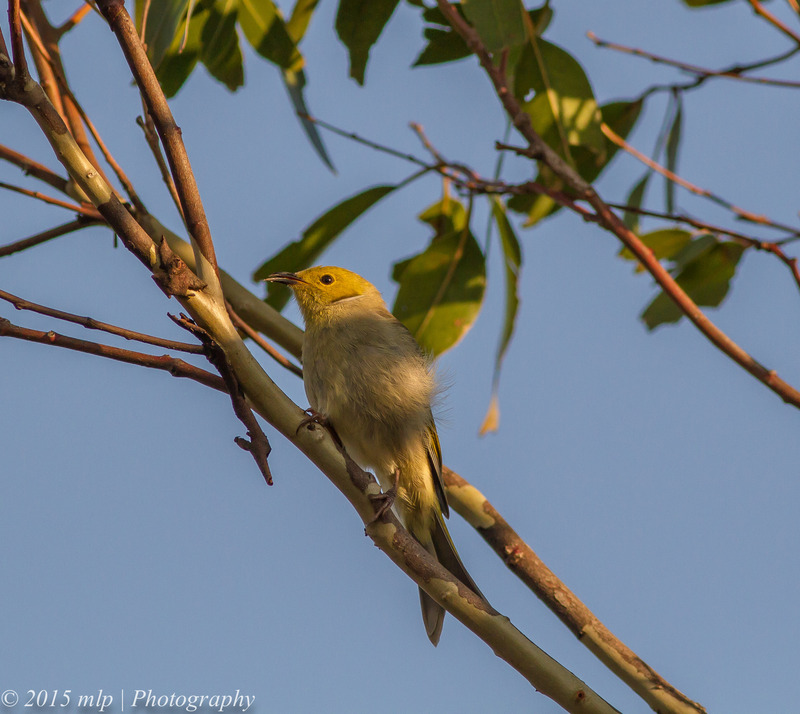 I have often seen them at Woodlands Industrial Estate fighting with an opposing and equally aggressive tribe of New Holland Honeyeaters. The Woodlands Industrial Estate includes an area of native scrub and wetlands that is not controlled by the Parks Department and people seem to use the edges as a dumping ground and to walk their dogs off leash. 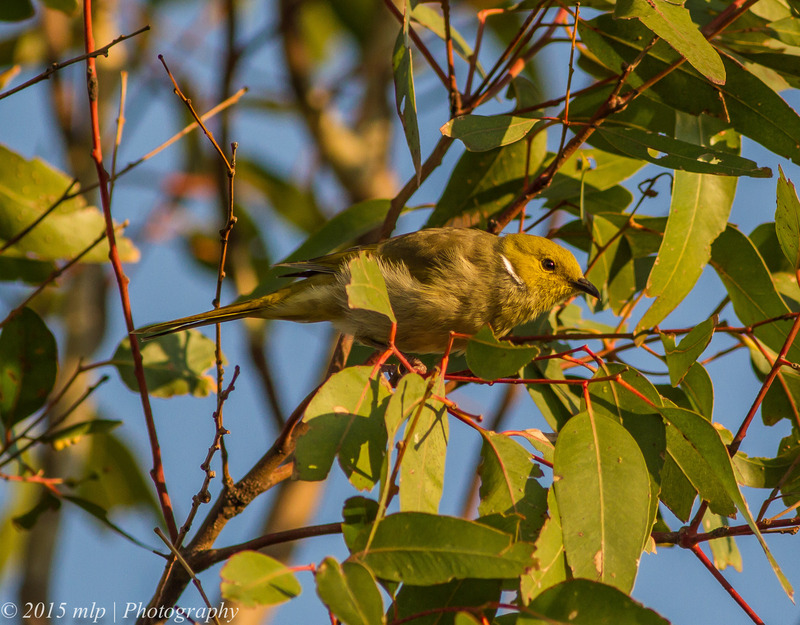 It is right next to Braeside Park and I often walk between the sites looking for certain species. I went there a few weeks ago with my birding buddy John and found my epiphany bird in the early morning light feeding on insects and Lerp. 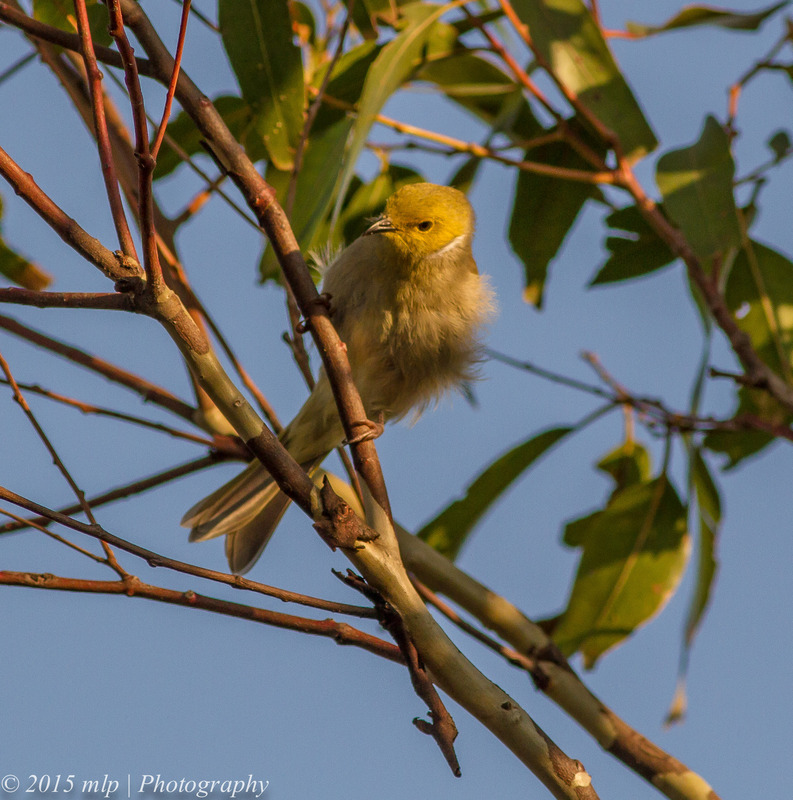 This entry was posted in Bird Behaviour, Birds, Victoria and tagged Australian Birds, Bird Photography, Nature Photography, Photography, Victoria, White Plumed Honeyeater, Woodlands Industrial Park. Bookmark the permalink.